Rock superstars Nickelback have announced that they will be heading back to Glasgow Hydro Arena as part of their huge 2016 UK arena tour! 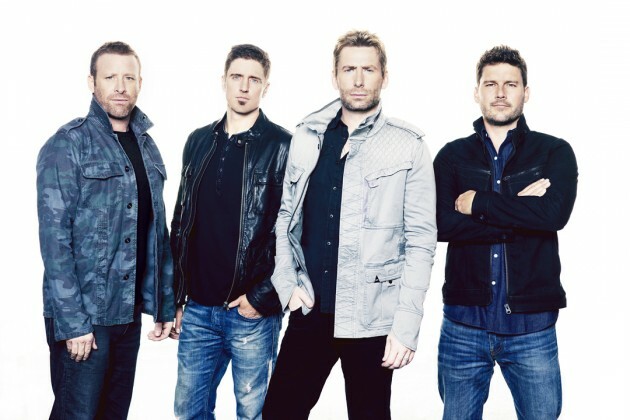 Canadian giants Nickelback are set to return to the UK for a huge arena tour in autumn 2016, and will play one night in the Glasgow SSE Hydro Arena on the 24th of October 2016. Multi-platinum selling rock band Nickelback are set to embark on a massive headlining tour in 2016. After dropping their latest album No Fixed Address back in 2014, the band are said to be working on their ninth studio album. Now, they’ll be heading back to the UK later this year for a huge run of shows – including gigs at Glasgow’s SSE Hydro Arena on October 24th, and both Wembley Arena and The O2 in London. Massive hits including How You Remind Me, Photograph, Burn It To The Ground and Rockstar join recent chart topping songs like What Are You Waiting For?, When We Stand Together, Bottoms Up, Lullaby and Trying Not To Love You making for an event not to be missed covering over a decade of hits; a Nickelback show to remember! Hard rocking, with worldwide radio anthems, this is a band with a reputation for providing a party wherever they go. Over their career, Nickelback have become the second best-selling foreign act in the US of the 21st century – behind only The Beatles. The band have had nine Grammy nominations, three American Music Awards as well as 12 Juno awards, a World Music Award, a People’s Choice Award and were named “Top Rock Group of the Decade” by Billboard magazine in 2009. Additionally, their inescapable and irresistible smash “How You Remind Me” remains Billboard’s “Top Rock Song of the Decade”. With multi-platinum hit albums and singles all over Europe and over 50 million albums sold worldwide, it is no mystery why fans are thirsty for more from the Canadian foursome. So make sure you get your tickets soon, because these baby’s will sell fast!